Dazzling Diamonds! Great for strips or scraps. 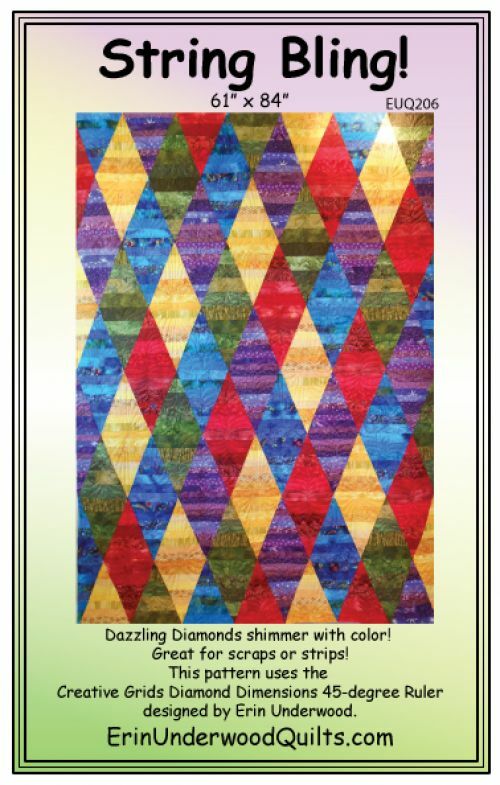 This pattern uses the Creative Grids Diamond Dimensions 45-degree Ruler designed by Erin Underwood.